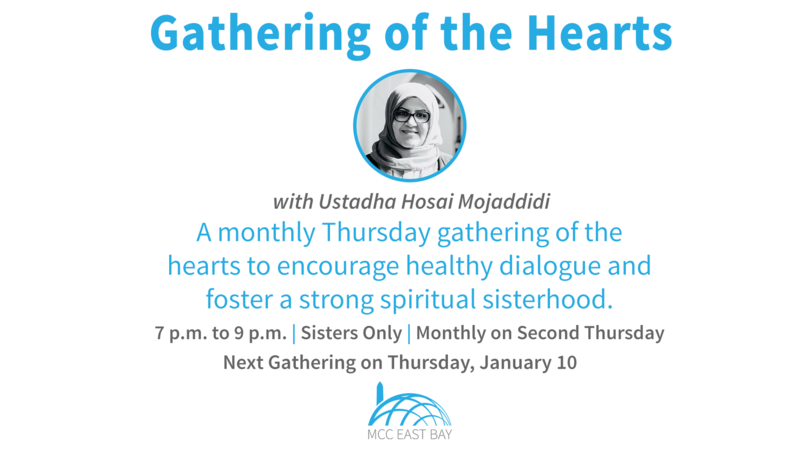 Join us for a new monthly gathering for women (ages 18+) to commune, reflect, discuss, and gain strength and support from each other. We will talk about spirituality, self-development, relevant and contemporary topics, as well as issues related to the various roles and responsibilities of Muslim women in today’s world. This is a discussion-based group and participation is not only encouraged but it is required! Hosai Mojaddidi is the co-Founder of mentalhealth4muslims.com where she advocates for and writes about various mental health related topics tailored for Muslims. She has served the American-Muslim community for nearly 20 years as an activist, writer/editor, mediator, interfaith organizer, and public speaker, covering a variety of topics including women’s issues, marriage/family, education, self development, interfaith bridge building, spirituality, etc. In her spare time she enjoys reading, writing, blogging via social media (Facebook and Twitter), doing arts and crafts, visiting gourmet coffee shops, and exploring the countless beautiful parks, beaches and nature preserves throughout Northern California where she lives with her husband, two sons, and fish named Max.